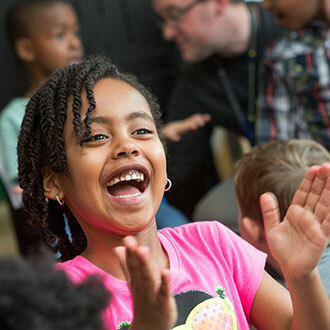 Get the basic facts about what it takes for a young child to learn to read, best practices in teaching reading, the importance of oral language in literacy development, why so many children struggle, and more in this overview. 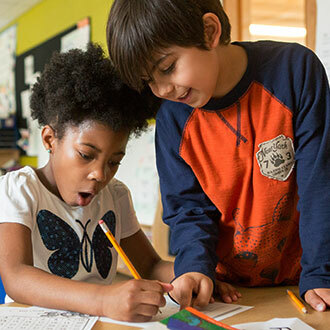 Many students enter kindergarten performing below their peers and remain behind as they move through the grades. Differences in language, exposure to print and background experiences multiply as students confront more challenging reading material in the upper grades. There is a well-established correlation between prior knowledge and reading comprehension: students who have it, get it. Students who don't, don't. The differences are quantifiable as early as age 3, according to the landmark study by Hart and Risley. For some subgroups of students, the reading failure rate is even higher than their same-age peers: 52% of black students, 51% of Hispanic students, and 49% of students in poverty all scored "Below Basic" on the NAEP assessment. High-need students have chronic difficulty in the classroom, and teachers must be prepared to meet the challenges they face. Cars are built by assembling the parts separately and fastening them together. In contrast, the parts of the reading system must grow together. The ultimate goal of reading is to make meaning from print, and a vehicle in good working order is required to help us reach that goal. Because learning to read is complex, the most accomplished teachers learn to teach with the end goal of readers and learners in mind. 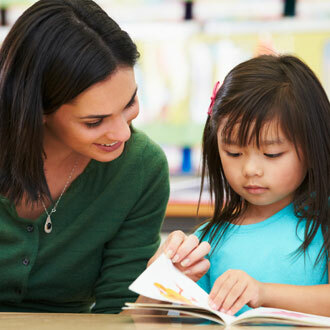 Teachers working with young children learn to balance the various components of reading, including phonemic awareness, phonics, fluency, vocabulary and comprehension in their every day teaching. The very best teachers integrate the components while fostering a love of books, words, and stories. Difficulties in decoding and word recognition are at the core of most reading difficulties. Poor readers have difficulty understanding that sounds in words are linked to certain letters and letter patterns. This is called the "alphabetic principle." 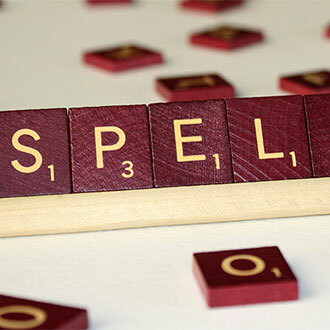 The reason many poor readers don't attain the alphabetic principle is because they haven’t developed phonemic awareness — being aware that words are made up of speech sounds, or phonemes. When word recognition isn't automatic, reading isn't fluent, and comprehension suffers. Reading aloud together builds these knowledge and skills. As a result, reading aloud with children is the single most important activity for parents and caregivers to do to prepare children to learn to read. Families and caregivers need to talk and listen to young children in order to help them learn a lot of the skills they will need for reading. When a child says "cook" and her father says, "Would you like a cookie?" he is building her knowledge of vocabulary, sentence structure, syntax, and purposes for communication — all of which will help her become a reader in later years. When a caregiver sings rhymes and plays word games with the children she cares for, she is helping them recognize the sounds in words (phonemic awareness). Children with language, hearing, or speech problems need to be identified early so they can receive the help they need to prevent later reading difficulties. Many children learn to read by first grade regardless of the type of instruction they receive. The children who don't learn, however, don't seem able to catch up on their own. More than 88 percent of children who have difficulty reading at the end of first grade display similar difficulties at the end of fourth grade. And three-quarters of students who are poor readers in third grade will remain poor readers in high school. These facts highlight the importance of providing a strong foundation for reading birth through age five. For 85 to 90 percent of poor readers, prevention and early intervention programs can increase reading skills to average reading levels. 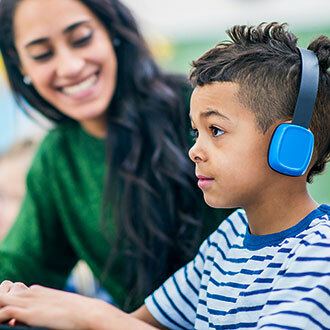 These programs, however, need to combine instruction in phoneme awareness, phonics, spelling, reading fluency, and reading comprehension strategies, and must be provided by well-trained teachers. As many as two-thirds of reading disabled children can become average or above-average readers if they are identified early and taught appropriately. These facts underscore the value of having a highly trained teacher in every classroom. Parents, teachers, caregivers, and members of the community must recognize the important role they can play in helping children learn to read. The research shows that what families do makes a difference, what teachers do makes a difference, and what community programs do makes a difference. It's time for all those who work with children to work together to ensure that every child learns to read. It is our shared responsibility. Many students enter kindergarten performing below their peers and remain behind as they move through the grades. 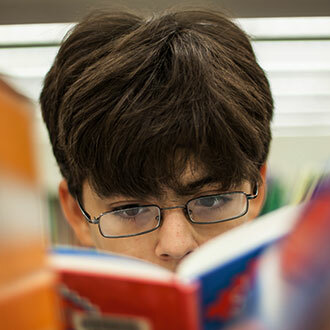 Differences in language, exposure to print and background experiences multiply as students confront more challenging reading material in the upper grades. There is a well-established correlation between prior knowledge and reading comprehension: students who have it, get it. Students who don't, don't. The differences are quantifiable as early as age 3 (Hart & Risley, 2003). For some subgroups of students, the reading failure rate is even higher than their same-age peers: 52% of black students, 51% of Hispanic students, and 49% of students in poverty all scored Below Basic on the NAEP assessment. High-need students have chronic difficulty in the classroom, and teachers must be prepared to meet the challenges they face. Cars are built by assembling the parts separately and fastening them together. "In contrast, the parts of the reading system are not discrete. We cannot proceed by completing each individual sub-system and then fastening it to one another. Rather, the parts of the reading system must grow together. They must grow to one another and from one another. "(Adams et al., 1990, pp.20-21). The ultimate goal of reading is to make meaning from print, and a vehicle in good working order is required to help us reach that goal. 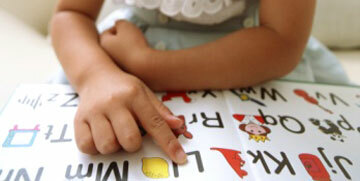 Difficulties in decoding and word recognition are at the core of most reading difficulties. Poor readers have difficulty understanding that sounds in words are linked to certain letters and letter patterns. This is called the "alphabetic principle." The reason many poor readers don't attain the alphabetic principle is because they haven't developed phonemic awareness — being aware that words are made up of speech sounds, or phonemes (Lyon, 1997). When word recognition isn't automatic, reading isn't fluent, and comprehension suffers. Reading aloud together builds these knowledge and skills. As a result, reading aloud with children is the single most important activity for parents and caregivers to do to prepare children to learn to read. (Adams, 1990). Families and caregivers need to talk and listen to young children in order to help them learn a lot of the skills they will need for reading. When a child says &quot;cook&quot; and her father says, "Would you like a cookie?" he is building her knowledge of vocabulary, sentence structure, syntax, and purposes for communication — all of which will help her become a reader in later years. When a caregiver sings rhymes and plays word games with the children she cares for, she is helping them recognize the sounds in words (phonemic awareness). Children with language, hearing, or speech problems need to be identified early so they can receive the help they need to prevent later reading difficulties. Many children learn to read by first grade regardless of the type of instruction they receive. The children who don't learn, however, don't seem able to catch up on their own. More than 88 percent of children who have difficulty reading at the end of first grade display similar difficulties at the end of fourth grade (Juel, 1988). And three-quarters of students who are poor readers in third grade will remain poor readers in high school (Shaywitz et al., 1997). These facts highlight the importance of providing a strong foundation for reading birth through age five. For 85 to 90 percent of poor readers, prevention and early intervention programs can increase reading skills to average reading levels. These programs, however, need to combine instruction in phoneme awareness, phonics, spelling, reading fluency, and reading comprehension strategies, and must be provided by well-trained teachers (Lyon, 1997). As many as two-thirds of reading disabled children can become average or above-average readers if they are identified early and taught appropriately (Vellutino et al., 1996; Fletcher & Lyon, 1998). These facts underscore the value of having a highly trained teacher in every classroom. Adams, M. J. (1990). Beginning Reading Instruction in the United States. ERIC Digest. Adams, M. J. et al. (1990). Beginning to Read: Thinking and Learning about Print. A Summary. Champaign, IL: Center for the Study of Reading. Fletcher, J.M. & Lyon, G.R. (1998). Reading: A Research-Based Approach. In What's Gone Wrong in America's Classrooms, ed. W.M. Evers, 49-90. Stanford, Calif.: Hoover Institution Press. Hart, B. & Risley, T. (2003). The Early Catastrophe: The 30 Million Word Gap. American Educator, 27, 4-9. Juel, C. (1988). Learning to Read and Write: A Longitudinal Study of Fifty-four Children from First through Fourth Grade. Journal of Educational Psychology, 80:437-447. Lyon, G. R. (July 10, 1997). Report on Learning Disabilities Research, Congressional testimony. NAEP 2009 Reading Report Card for the States (2009). U.S. Department of Education, Office of Educational Research and Improvement, National Center for Education Statistics. Shaywitz, B.A., et al. (1997). The Yale Center for the Study of Learning and Attention: Longitudinal and Neurobiological Studies. Learning Disabilities: A Multidisciplinary Journal, 8:21-30. Vellutino, F.R., Scanlon, D.M., Sipay, H., & Denckla M. (1996). Cognitive Profiles of Difficult-to-remediate and Readily Remediated Poor Readers: Early Intervention as a Vehicle for Distinguishing between Cognitive and Experiential Deficits as Basic Causes of Specific Reading Disability. Journal of Educational Psychology, 88:601-636. Very good information. I'm so glad that you're saying that it is a shared responsibility. I am a parent and an educator and I'm so glad to have found this information. I found it very helpful and informative. Thank you so much and more power! Enlightening! This article reveals some very important facts. I think we all agree that reading is fundamental to all school subjects as it affects the success a student has in other classes. It is sad to think that parents don't realize they are stakeholders in their child's education and that teaching the child to read should not be left merely to the teacher to do the job alone.The statistics mentioned here are alarming. As a retired classroom teacher and currently a Parenting Educator your website and information is to the point and extremely beneficial to the population I serve. I find this information very interesting and want to dig into certain aspects of it a bit more. Specifically, the rates of non-white children that have reading disabilities. I can understand if a child is from a home that primarily speaks a different language than english, they would have a harder time grasping english reading and catching on to the "alphabetic principle." Also, if I were to make a guess or assumption about children in poverty, I would think they or their parents don't have access to the resources to learn skills necessary for reading. However, what is the theory behind the high percentage of black students? Is there an economic factor associated with this statistic kris it across all levels of income? I'm also curious about the Hispanic children statistics. Are these based on the ability to read english books and exercises? Are they are able to meet reading requirements if they read books and lessons in their native language? I understand that tests in American schools are given in english and children attending class in America need to be fluent in english but, at such a young age, is this an unfair requirement. Should requirements be adjusted for the younger grades and gradually meet American requirements as they age older? I will say that this article drove home an assumption I already had but, made very clear for me - it is apparent that reading is not just a job left to teachers and schools. Parents need to plant the seed before their child enters school and they have to take an interest in ensuring their child is ready. It's a team effort! I found this post to be very informative and helpful in identifying the top 10 reasons why students struggle with reading. I am currently an adult education specialist and find it extremely difficult in finding helpful material to assist tutors in working with students. Although this is targeted for middle school learners ( 3rd and 4th grade) I think the tools and and helpful hints in working with students who struggle with reading can apply to learners of all levels. What happens before school is extremely important in recognizing the learning gap from my experience. Learners who may not grasp material as easily as others can get frustrated and overlooked by teachers in some cases. They may not attend school as ofter and begin to fall further behind. 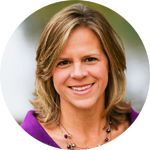 If this is a trend among low level readers, this can ultimately affect them in adulthood which adds in a lot of other confounding factors that may begin to affect their learning capacity. The information is very useful and helpful. I will use it to improve my pupils reading skill. Thank you so much.